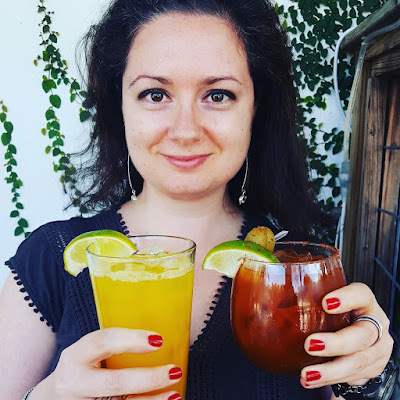 Do you ever have random ingredients in your fridge and wonder what to make with them? For example, what would you make with a fennel bulb? You can definitely slice and roast it or sauté it with onions and mix with potatoes to puree into a soup. 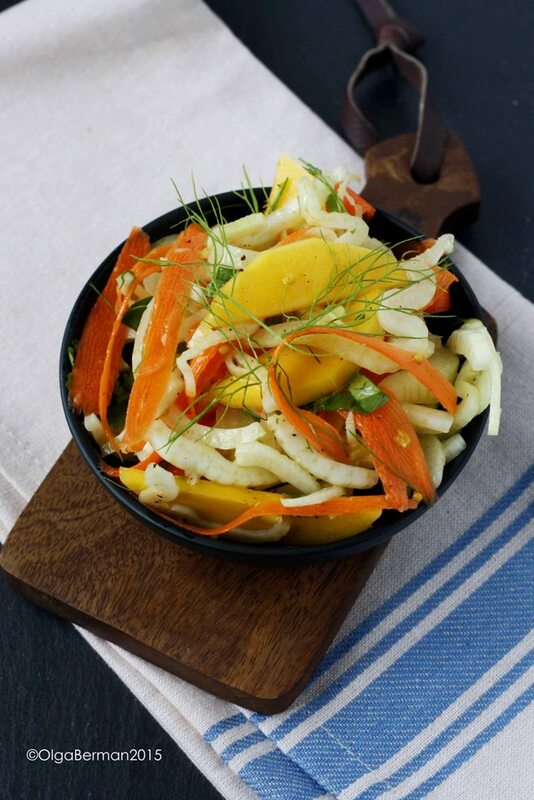 This past weekend I decided to turn a lonely small fennel bulb into a slaw by adding mango, carrots and a lemony vinaigrette. I've come a long way from making coleslaw at KFC while working there during my high school years ;) This salad is bright, low in calories and tasted incredibly fresh! I used pickled mustard seeds I received from a class at Blue Duck Tavern. If you don't have pickled mustard seeds, you can use capers or add whole grain mustard. 1. 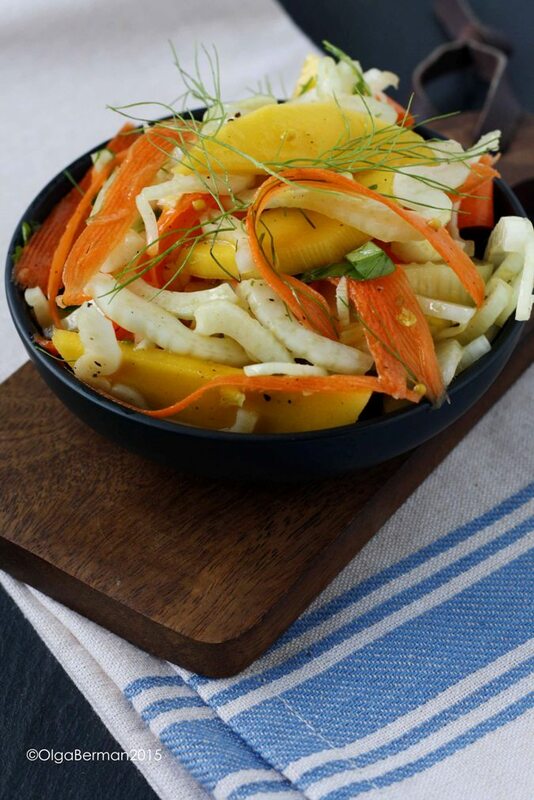 Mix together fennel, mango and carrots. 2. Whisk together dressing ingredients and drizzle over the salad. You don't have to use all of the dressing. 3. Garnish with cilantro and fennel tops. What's your favorite way to use fennel?